Why You Should Become one of the Linux professionals? Explore Now! Linux is the technology of tomorrow that is being delivered today. This is going to acquire the whole world in the upcoming years. Linux is going to play an important role in supporting the computing infrastructure in the 21st century. This is the reason that students are willing to prepare themselves for the jobs of future. The so-called jobs of tomorrow are Linux jobs. You can find the application of Linux technology everywhere from the cars you drive to the websites you are using frequently. The recent reports show that industries are looking for the Linux professionals to support its pervasiveness in everyday life. The recent report shows that demand for the Linux professionals is up for the second year in a row, 93% of hiring managers from reputed companies are planning to hire Linux certified professionals in coming times. But as the demand for the Linux professionals is increasing hiring managers are struggling to find experienced Linux talent (approximately 90%). The recent survey that took place on both the hiring managers and Linux professionals have revealed a better picture of the changes appearing in this field. The results show that Linux professionals are being aggressively approached by recruiters; 75% of the professionals have received a call in the last six months. More than 1/3 companies plan to make a move this year. This increased demand leads to the increased pay scale of the Linux professionals, approximately 9% of Linux pros have experienced a rise in their salaries. The good thing about this field is that there are no barriers to entry here, anyone can get involved in Linux. You must be thinking about getting this certification and accelerating your career trajectory. 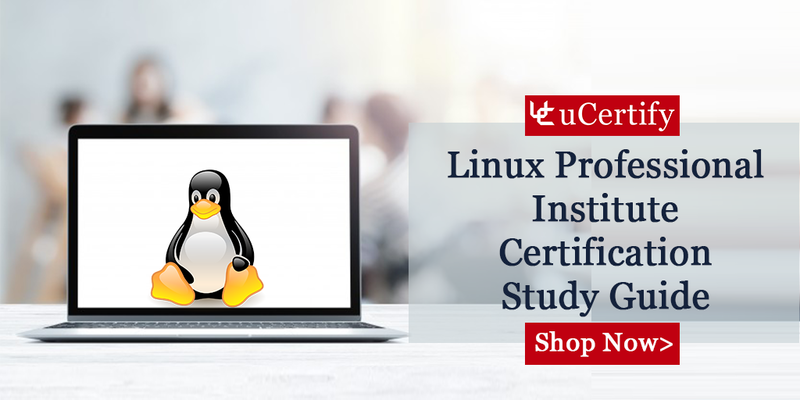 Get yourself enrolled in the uCertify cert guide that is designed with the motive of providing you all the necessary skills and knowledge of the Linux. We offer various courses for the Linux certifications like LPI, CompTIA Linux+, and many more. The study guide contains interactive learning resources like lessons, test preps, quizzes, exercises, and labs that will help you pass the cert exams in your first attempts. 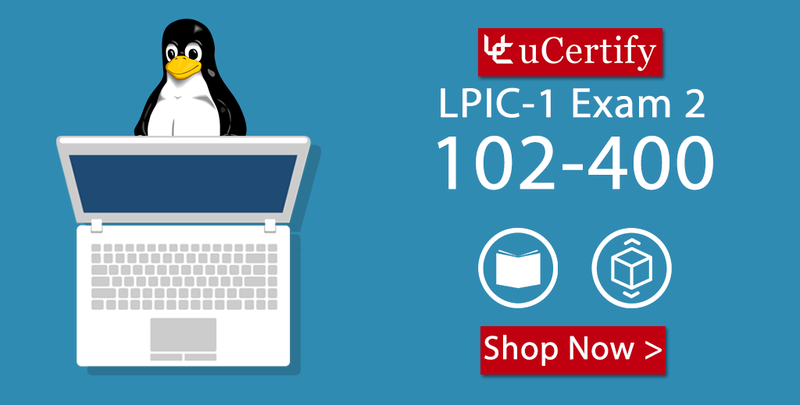 We are offering you the most appropriate preparation LPIC-2 Exam 2 – Linux Server Professional Certification V4.0 course and performance-based labs for the LPI Linux Server Professional certification exam making learning simple and effective. Performance-based labs simulate real-world, hardware, software & command line interface environments and can be mapped to any text-book, course & training. The study guide includes advanced and updated study material in a simple but scientifically structured approach. It will help you follow an easy and comprehensive approach and help you succeed in your exam to become an authorized network associate. The course covers all the objectives of 102-400 exam and includes topics such as administrative tasks, essential system services, fundamentals of networking, security, and many more. The course offers Live-labs as an add-on component. Live-Lab is a real computer equipment, networked together and conveniently accessible over the internet using virtualization. A live-lab has equipment such as a computer, server, switch or router in it that a user is free to configure. Now, you know the benefits of the LPIC certification ss start preparing for the LPIC 102-400 exam with the uCertify study guide. Get yourself enrolled today for the best results. Linux server field contains a lot of career opportunities uCertify offers LPI LPIC 2: Linux Professional course and live-labs. Live-lab is a real computer equipment, networked together and conveniently accessible over the Internet using virtualization. A live-lab has equipment such as a computer, server, switch or router in it that a user is free to configure. The LPIC 2 Linux professional live labs will provide you with the skills and knowledge for Linux certification exam. LPIC 2 certification is a globally trusted credential. Candidates should have LPIC 1 certification for getting LPIC 2 certification. LPIC-2 is the second certification in LPI’s multi-level professional certification program. The exam validates your ability to administer small to medium-sized mixed networks. So, enroll yourself in uCertify courses and labs for the best learning experience. The course will help you enhance your career prospects. CALIFORNIA, November 16, 2013- LPI has released its latest exam 117-300 Senior Level Mixed Environment. The two exams- 117-301 and 117-302 has been merged into one exam 117-300. What’s cover in 300 Exam? The LPI-300 exam replaces both the exams and also provides the designation of LPIC-3 Mixed Environment. LPI-300 exam is available from Oct 1, 2013 and has given freedom to candidate to take any one of the exam from 300 series to attain LPI-3 certification. Candidates must have LPIC-2 certification to achieve LPIC-3 certification. Candidates can take LPIC-2 exams in any order and any one exam from LPIC-3 exams to gain LPIC-3 certification. Passing any one exam as 300(replaces 301 and 302), 303 or 304 is the essential requirement for this certification. Candidates should have experience for using LDAP to integrate with Unix services and Windows services, including Samba, PAM, NSS, Active Directory. LPI certification exams 301 and 302 are slated to retire by this year-end. Professionals willing to take this certification should register before 31st December, 2013 as after the specified retirement date, the certification will no longer be valid. uCertify is going to release Test Prep for LPI 117-300 exam very soon! LPI 301 and 302 Exam Merged as LPI-300 Releasing Soon! LPI has announced a new release of Senior Level Mixed Environment Exam from October 1, 2013. Linux Professional Institute has made changes in its Senior Level Linux Professional Certification. The two exams– 117-301 and 117-302 has been merged into one exam 117-300. From October 1, 2013 candidates can choose any one exam from 300 series as 300 Mixed Environment, 303 Security or 304 High Availability and Virtualization to achieve Senior Level Linux Certification. The 301 and 302 exams are valid upto Dec 31 2013. Candidates who intend to take these exams must schedule and register their exam before December 31st 2013. This certification establishes your competence for well-defined Linux-related functions and easily demonstrates your competence to a potential contractor or employer. The certification helps you set out and follow a career path. The LPI-300 exam replaces both the exams and also provides the designation of LPIC-3 Mixed Environment. LPI-300 exam will be available from Oct 1, 2013 and has given freedom to candidate to take any one of the exam from 300 series to attain LPI-3 certification. Candidates must have LPIC-2 certification to achieve LPIC-3 certification. Candidates can take LPIC-2 exams in any order and any one exam from LPIC-3 exams to gain LPIC-3 certification. Passing any one exam as 300(replaces 301 and 302), 303 or 304 is the essential requirement for this certification. Candidates should have several years of experience with installing and maintaining Linux on computers. a) LPI-301:- This exam is the sole exam for LPIC-3 certification. The candidates must have essential skills such as authentication, troubleshooting, network integration and capacity planning. b) LPI-302:- On the completion of this exam, candidates can get LPI-3 certification.